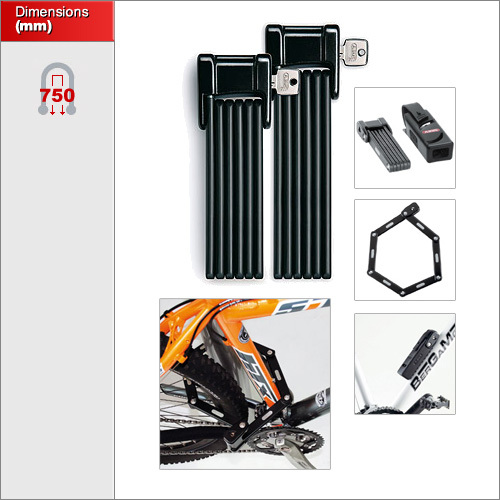 Six individual bars are firmly linked together allowing it to form various shapes to lock-up a bike or gate security. 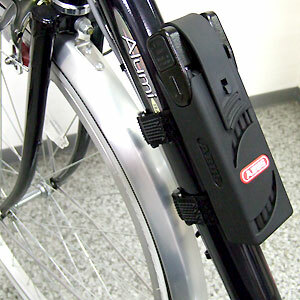 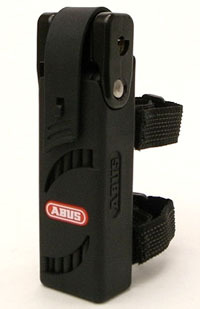 It folds neatly into a compact sheath which can be mounted directly to a bicycle frame. 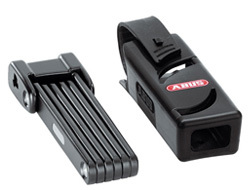 Although ideally used by cyclists the folding design makes it great in a number of situations including gates, garden furniture, tools and skis.